Property Owners & Concerned Citizens Upcoming Meetings Regarding Relief Route. With the Tomato Bowl improvements on Highway 79 E, it seems the plans should extend the Loop 456 Northward from where the loop terminates at Highway 79 up to North of Love's Lookout rest area. The 2005 plans for for Western Loop from Lookout Area to South 69 were to bring heavy traffic by West side of Jacksonville City Cemetery which would be a huge noise factor for grave side rites. 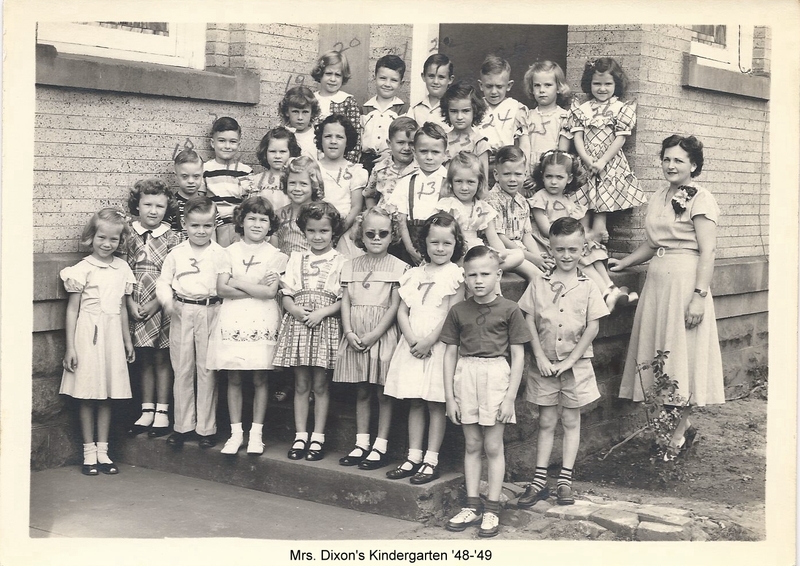 Many a young lad/lassie began their educational experience in Mrs. Dixon's kindergarted. The kindergarted was located in the old frame Presbyterian parsonage at the corner of the two alleys separating The Newton house from the First Presbyterian Church and the First Presbyterian Church from the Methodist Church. 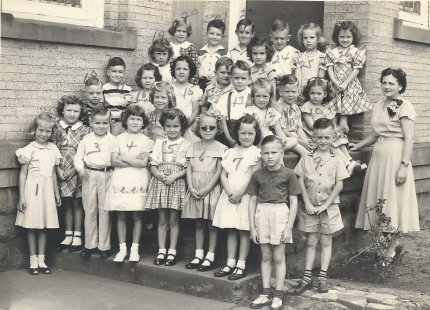 Below is a picture of the kindergarten class of 1948-1949. Click on the image to enlarge. If you can help name any of the members of the class please use the contact form found here. Alice Theater - located on Elberta St.(now known as Martin Luther King). Clair - Owned by Ross Dorbant and named for his daughter Kate Clair. The Clair was possibly located where the Rialto was. Ross' grandaughter believes it was on Catfish Row. Palace - 1933 City Directory shows Palace theater was located at 215-217 E. Commerce. At this time it was owned or operated by Ross Dorbant. Predating the cinemas there was one or more opera houses. The Facebook page is now public - Stop the Jacksonville 69 Bypass. Must be member of Facebook to see. For those who would enjoy a stroll down memory lane, check out the Facebook referenced above. Currently there is an ongoing discussion regarding the first public water supply in J'ville. The water supply was established in 1915 when M. L. Earle was the mayor. Other councilmen included J. M. Pressler, W. L. Dublin, M. P.Alexander, T. E. Gillespie, C. R. Nunally, O. L. Alexander. At this point trail of ownership is incomplete. Small booklet from a class reunion. No date given. Ask for a staffer when operator answers.